Takht: Kareena Kapoor Khan Is Excited To Work With Karan Johar & Ranveer Singh! 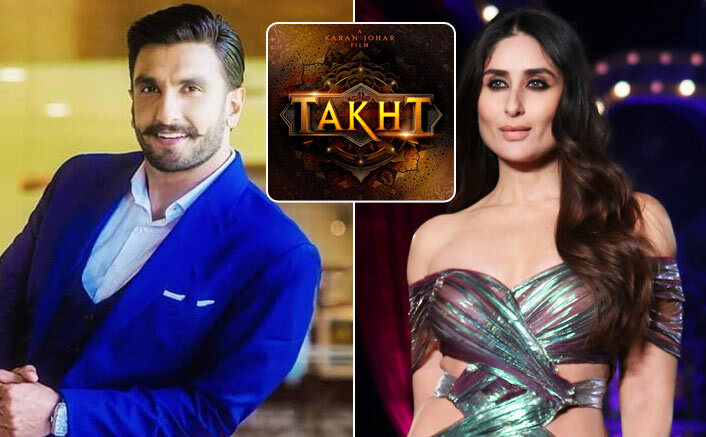 Actress Kareena Kapoor Khan, who will be seen sharing screen space with Ranveer Singh in the upcoming magnum opus Takht, says he is a phenomenal actor. “I am very excited to do the movie finally with Karan (Johar) and Ranveer of course. I have not worked with him but I know he is a phenomenal actor and it will amazing,” Kareena told IANS. The 37-year-old says she is really honoured to share screen space with Ranveer in Takht, a period drama. Takht also features Bhumi Pednekar, Alia Bhatt, Anil Kapoor, Vicky Kaushal and Janhvi Kapoor. It will be directed by Karan Johar. The film will bring back Karan and Kareena working together after 17 years. The two last collaborated Kabhi Khushi Kabhie Gham… in 2001.